We hasten to inform you of an extremely serious situation which has arisen with us, and which already threatens the whole future of the missionary work which we have conducted now for seven years. We beg you to give us your help and advice. We are writing in English, inasmuch as that is the language of our publications and our everyday life, and because our whole existence is for the sake of English-speaking people, above all Americans, who form the majority of our 1500 subscribers. First we should tell you that we are laboring to the best of our strength in the monastic life, rejoicing in God’s great mercy in granting us to wear the angelic habit. The trials that have come upon us since we received the monastic tonsure we understand and accept as a part of the hard and narrow path of Christs Cross which we have taken on ourselves, and not for a moment have we regretted receiving the tonsure. 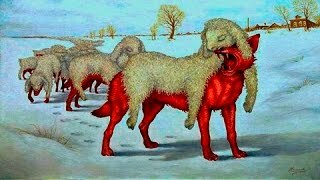 Please read what follows not as any kind of “complaint” — for we are not protesting against any individual act, and we are not in any immediate trouble — but rather as a statement of principle concerning the nature of our existence as an organization within the Russian Church Outside of Russia. 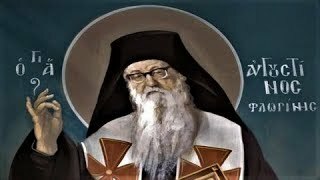 However, we must tell you at the very beginning that our Archbishop Anthony does not understand this principle and in fact is trying to substitute for it his own plans, and in a very short time, if we do not act very soon, his misunderstanding will lead to a crisis that could bring an end to The Orthodox Word and to our work in the name of St. Herman. The Synod itself has acknowledged the value of our missionary work, and we are therefore all the more certain that to preserve this work we must act decisively, even if by this we must incur the anger — which we believe would be completely unjustified — of our Archbishop. Already before our tonsure we had occasion to believe that Vladika Anthony was beginning to form unrealistic ideas about us, and we sent you a copy of our letter to him in which we tried to give him a more realistic picture of us. To this he replied with a letter saying that he fully understood and agreed with us and would apply no “episcopal coercion” of any kind on us. We had complete trust in Vladika Anthony and thought that he did understand us. We had made clear to him that whatever official status we might have (whether as a “monastery” or not), we could only operate with complete independence from the local Diocesan Bishop, just like our monasteries in Jordanville and Boston, and he readily agreed with us, telling us that one of us would have to be the Head. We informed him that we were preparing our Rule and would present it to him by St. Herman’s feast day in December, to which he also agreed. We realize now that in order to obtain the status that was necessary for us we should have appealed directly to the Synod instead of allowing our local Bishop to be intermediary for us; but such was our trust of Vladika Anthony that, even though we did not know all that he was doing and saying at the Synod, we had no suspicions whatsoever that any kind of misunderstanding would arise later. On the day of our tonsure, October 14/27, we heard for the first time that the Synod had blessed the opening of the St. Herman of Alaska Hermitage, which we accepted with joy, and also that Vladika Anthony had been appointed Head (“for the time being”) — which upset us very much. But we still did not understand what was happening, and we waited for the Synod’s Ukase to see exactly what it said. For the next two months we were extremely busy with the Canonization Issue of The Orthodox Word, with difficulties caused by bad weather, etc., and we did not find out anything more definite until Christmas, when we went to San Francisco. At the end of December we saw the Synod’s Ukase for the first time, and then at Christmas we were subjected by Vladika Anthony to a terrifying “inquisition” lasting several hours, in which when we tried to make clear our position he merely threatened us with his rights as “Head” of our monastery (all the way to supervising our daily correspondence), telling us that an independent or stavropignialny status for us is “out of the question” and that we had no right to write a Rule for our own monastery, but that he would give us one. If we do not agree to all this, he told us, we are guilty of “self-will” and “disobedience.” After this we were completely shocked and shattered and did not know what to do. For several nights we could not sleep, and we thought of writing to you and a few other of our friends in the clergy; but we were in such a state of shock that we really did not know what to say, and we were afraid that our letter would merely sound like another “complaint,” of which you probably already see too many. Also, we simply could not believe what had happened, and we waited for some written document from Vladika Anthony that would give us something definite to act on. We are very glad that we waited before writing to you, because now we have a written document to base ourselves on, and in the 2 1/2 months that have passed since our last meeting with Vladika Anthony we have gotten over our shock and are able to think and act clearly and calmly, without any agitation in our souls and without any bad feelings against Vladika Anthony. In spite of everything, we have the utmost respect and love for him, especially because of all that he has done for the canonization of our patron, St. Herman; we have no intention of questioning or disturbing his legitimate ecclesiastical authority, and it is only with the greatest sorrow and heaviness of heart that we are now about to undertake those steps which will preserve our independence from him. However, this is an obligation which we owe, not only to our own work, but to Vladika Anthony; because before God he cannot take responsibility for an activity he is not familiar with, in a language he does not know. Enclosed is a copy of Vladika Anthony’s Ukase of Feb. 25/Mar. 10, which we received last week, and which makes clear what he thinks he has done: he has opened a Diocesan monastery with himself as Head, and we are in absolute obedience to him. Dear Vladika: you know us as loyal sons of the Russian Church Outside of Russia, in everything obedient to lawful ecclesiastical authority, not in the least inclined to “rebellion” of any kind, and that in The Orthodox Word we have defended the Synod and every one of its bishops with such firmness and devotion that it is no exaggeration to say that a large number of our readers look up to the bishops of the Synod with extreme respect, as virtually the only pillars of Orthodoxy and true bishops in the world today. Further, we must tell you that so far Vladika Anthony has not given us any specific “obedience” against which we protest; therefore, we repeat, this is not a letter of “complaint,” and Vladika Anthony himself could not give you any case where we have disobeyed him. The question, therefore, is much bigger: the whole organization of the “St. 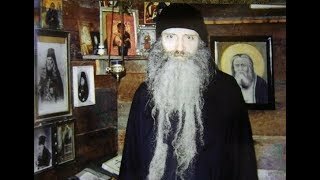 Herman of Alaska Hermitage” was devised entirely without us, who are its only members, and now that we see what is involved we must decisively declare: the Ukase of Vladika Anthony establishing a Diocesan monastery with himself as Head, is not acceptable to us and we do not accept it. Not only in principle must we oppose a Diocesan monastery which cannot preserve the independence that is absolutely necessary for a work such as ours, but we have discovered to our great sorrow that Vladika Anthony himself is a man we cannot and do not trust. He has badly deceived us — of which, perhaps, he is not even aware, for we now suspect that he has never even listened to what we have told him, but always had in mind his own completely different plans for his own monastery — and he is now trying to force us to accept what he has accomplished by his deception for the sake of obedience. But such “obedience” — for the sake of a worldly end — is very clearly spiritually illegitimate. We are the disciples of Vladika John, who blessed and inspired our work from the very beginning and, we firmly believe, is with us now in spirit; it is to his blessing, in fact, that we ascribe entirely whatever success we have had so far. And from him we have learned: above canons, church discipline, etc., comes the spirit. If by obedience, by faithfulness to the letter of canons, or by any other thing good in itself, the spirit of a man is crushed and is extinguished, then there is something terribly wrong. Vladika Anthony has already accused us of a tendency to “disobedience” and “self-will” — and, while admitting that we are in all ways sinful, we can only say that in the present case these accusations are beside the point. Before such virtues as obedience have any meaning, they must have a place in a definite context, in a common task, in a fruitful work. Such a context would be, for example, a monastery with a Elder responsible for the souls of everyone living in it (such as Fr. 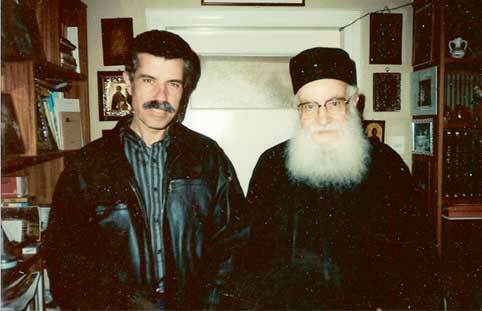 Panteleimon’s monastery in Boston), or an established working monastery such as Jordanville; in our case, the context is The Orthodox Word and our missionary printing labors, which for seven years now we have followed with great labor and sacrifice, in everything being obedient to the Church and to each other, so that never did one of us exercise his “own will,” obeying rather each other and the common task that united us. 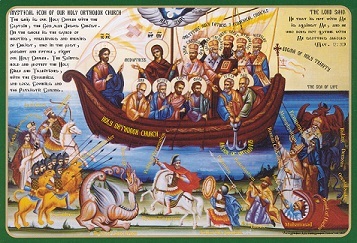 Without this we would never have survived; but with this and the blessing of Vladika John we have survived this long and now seem called by the Church to expand our work and bring forth greater fruits. 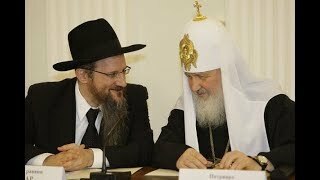 But now Vladika Anthony, not knowing our work (he does not read The Orthodox Word and knows almost nothing of the American mission) is trying to impose his own “work” upon us — a “monastery” governed by him from San Francisco, where one of the “obediences” at the present time happens to be the printing of The Orthodox Word. But since he does not know us or our work, all of his plans and Ukases are based purely on external appearances — on what kind of role it looks as though we could play in his diocese, or (he used these exact words with us once) on “what will they think at the Synod?” We tell you frankly, Vladika: this is not serious; it is some kind of game with him, enforced precisely through the “episcopal coercion” he promised he would never use on us, and the result is precisely that it harms our common work and instills in us such a sense of gnawing, inner frustration that if it is allowed to continue it will completely destroy our missionary work and extinguish the spark, the spirit, that Holy Orthodoxy has given us, and that Vladika John knew how to fan into a flame of desire to serve the Holy Church. Perhaps that flame is weak in us, but it exists, and it is quite possible for it to be extinguished. It is not our intention to start a fight, or to force anyone to accept our word against Vladika Anthony’s — because undoubtedly he will have a completely different version or interpretation of everything that has happened to us. 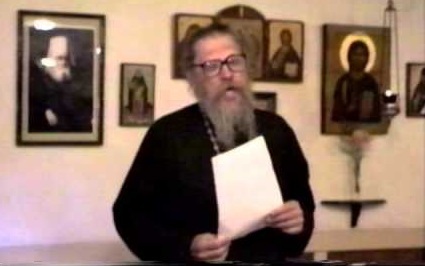 We can only make it clear that, whatever may have happened in the past, in the future we can have no tie with Vladika Anthony: he cannot be any part of our monastery (if the Synod affirms that we are a monastery), and our monastery cannot be a Diocesan institution. If Vladika Anthony has opened a monastery, we are not a part of it. 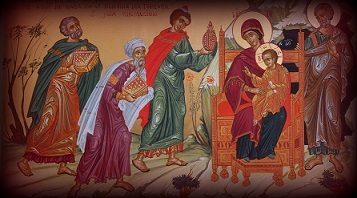 We promised obedience to him, “God helping us,” and in our conscience we cannot believe that God will help us to destroy the blessing of Vladika John and that small beginning of service to the Holy Church that we have begun with his blessing. Doubtless Vladika Anthony thinks we are inexperienced and he must “take us in his hands” and “make something of us” for the sake of the growth of the monastery. We have our own candidates who may in future be joining us — but if Vladika Anthony is to be our Head, we must tell them to stay away or go elsewhere, rather than to become a part of his totally unrealistic plans. 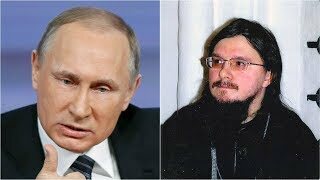 And we will tell you frankly: Vladika Anthony has no one who would be interested in joining “his” monastery, and in fact that is why he has to act through us. All of this is probably shocking to you, and you may wish to advise us to be patient, to accept what ever Vladika Anthony imposes on us for the sake of obedience, or to try to “negotiate” or “compromise” with him. But we tell you firmly: no compromise is possible. Vladika Anthony does not listen to us, and in fact he thinks we have no right to tell him anything. He has already shown us his intentions, and as long as he has any direct authority over us we will be filled with mistrust, suspicion, and gnawing frustration. These are the fruit, not of legitimate authority, but of usurpation. (2) If Vladika Anthony’s Ukase of Feb. 25/Mar. 10 is going to be published in Orthodox Russia or elsewhere, please try to stop it, as it does not correspond to reality and will only cause trouble if it becomes widely known. Please do not think that we are despondent. We are in good spirits, even though we are quite worried about our future. This attack upon us has convinced us more than ever that we are doing a God-pleasing work and it has strengthened our resolve to continue and stand firm in it. Our few months of monastic life have already given us so many trials and temptations — yet in every one of them Gods help has been close, and we only marvel at how close God is to us. Our last trial began when we received Vladika Anthony’s Ukase last week, and we were very much troubled — but in less than 24 hours, completely unexpectedly, Vladika Nektary and Fr. Boris came with the Kursk Icon, and our trouble was turned into joy and the certain realization that God is with us! And now we approach the difficult time ahead as a literal Golgotha — for we fully expect Vladika Anthony to be furious when he finds out what we are trying to do, and he will doubtless do everything against us that he can. 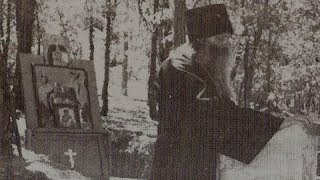 But at the same time we rejoice, knowing that the sufferings before us are much less than our sins deserve, that only from such a narrow and difficult path can spiritual fruits come forth, and that in everything God and His saints — St. Herman and Vladika John — are with us. A final point: in Vladika Anthony’s Ukase the name of our Staretz, Archimandrite Spyridon, is mentioned. We are on the best of terms with him and we would hope that after, God willing, we achieve our independence, he will continue as our Staretz. But in the meantime, for obvious reasons, we do not want to involve him in our difficulties, and so we emphasize that the responsibility for this letter and for everything we may do in future rests solely with the two of us. We ask your holy prayers and will welcome your advice. Please be assured that we will not do anything rash, and will act only after having consulted others among the clergy who know us well.